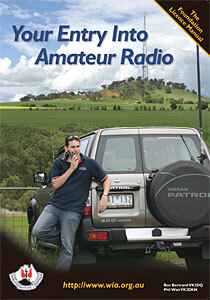 Moorabbin & District Radio Club Inc.
"CELEBRATING 70 YEARS OF FURTHERING THE SCIENCE OF RADIO COMMUNICATION"
Are you interested in gaining your Amateur Radio License? The MDRC is a club that can support and assist you in obtaining your license. Whether it is gaining your Foundation License or upgrading from Foundation to Advanced, the MDRC can assist. The Club has a number of WIA Certified Assessors who able to assist you with study guidance, exam preparation and final exams. For further information contact Graeme VK3GL on education@mdrc.org.au. At this point in time, the MDRC does not conduct any License Classes or Upgrade Course.